iWork Pages Password Forgot, What to do? "I encrypted a Pages document and (it is normal) I forgot it. Of course, I don't need to tell that my document was pretty important for me. Do you think it would be any way to open my document? My first idea was that by typing a wrong password more than 3 times, a popup window would propose me to help founding since the file is encrypted. But no. I also thought I would be able to "open content of package" but this option is not displayed since the file is encrypted. Finally my last hope was that the password would be saved in my iCloud account (since I have pages and documents on the iCloud, seemed logical), but again, no. Tip 1: Crack Forgotten iWork Pages Password? When you lost or forgot your encrypted Pages document, the first thing you would think of may be how to crack Pages encryption. Is there an iWork Pages password recovery tool? At present, ElcomSoft confirmed that the company could at the moment recover passwords protecting Apple iWork Pages documents. The tool was called Distributed Password Recovery. 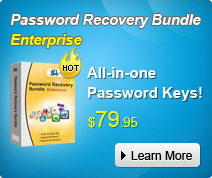 according to ElcomSoft, Apple used strong AES encryption with 128-bit keys, which makes password attack the only feasible solution, Even though the recovery process is "painfully slow", their product's advanced dictionary attacks help recover a significant share of these passwords in reasonable timeframe. At this time, ElcomSoft Distributed Password Recovery is the most well-known password recovery for Apple Pages. Maybe you can have its trial version to test if it is useful as described. Note: For Microsoft Office Word users, you can use Word Password Recovery to find forgotten Word password. "iWork, I've forgotten my password to a pages document. Is there a way I can retrieve the work without the password?" If you have try your best to find the password, but still failed, it doesn't matter. Maybe you should consider rescuing iWork Pages files, which is the final reason for cracking Pages password. In order to successfully recover your Pages document, the backup feature must have been previously enabled, which can be found in the Pages' preferences. Click "Go" at the top of your Macintosh desktop, and click "Applications" on the menu to display the Applications folder. Double-click the "Pages" icon in the folder and click "File" at the top of the Pages menu bar. Select "Open" from the drop-down menu and double-click the Pages document you wish to recover. Alternatively, locate the document in Finder and double-click it to automatically run the Pages application. Click "File" on the menu bar and select "Revert to Saved" from the drop-down menu to recover the backup copy of your document. That's all for how you can crack Pages password, or recover Pages documents. Go to Mac tips to know more.